Rug pads to place under the Ply Rugs are purchased separately. This prevents the rugs from gliding and protects the rug. The Ply rug gently hints towards the weaving traditions of the past, seen by the woven tails of the design. 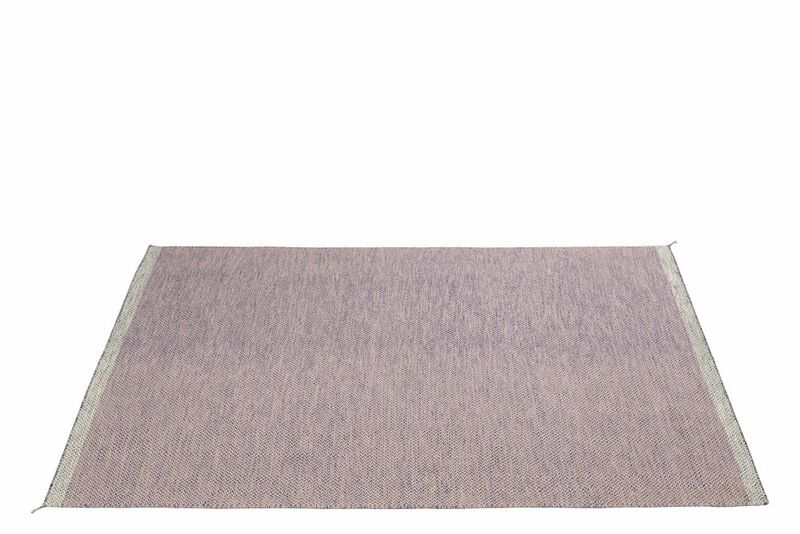 Available in three sizes and seven colors in 100% wool, the Ply rug is a high-quality and expertly-crafted area rug that will bring subtle warmth to any room. MARGRETHE ODGAARD is a strong figure in the new generation of textile designers in Denmark. After her graduation in 2005, she worked as a textile designer in Philadelphia and later Paris until setting up her own design studio in Copenhagen in 2013. She has received both national and international awards and recognition for her work with textiles, colors and patterns.